The creator of the ABC franchise drama Grey’s Anatomy and the scorching Beltway caper Scandal is getting her very own night, as the network is slotting her new series, How to Get Away With Murder, in the Thursday 10 p.m. slot. Scandal will take a step back to 9 p.m., thereby pushing Grey’s Anatomy to 8 p.m.
Rhimes on Tuesday signed a four-year contract extension that will keep her at ABC Studios through May 2018. 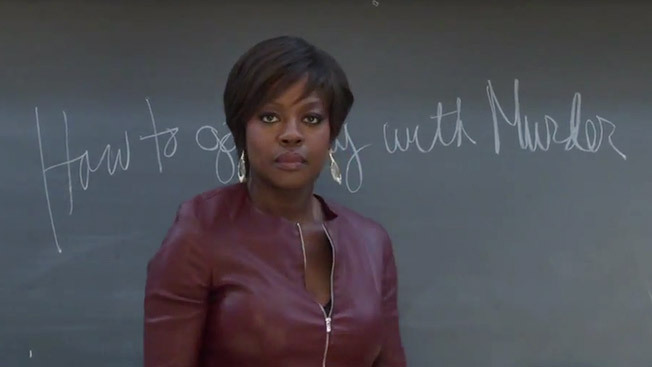 Written by executive producer Peter Nowalk, How to Get Away With Murder stars Viola Davis as a law professor who gets into all sorts of entanglements with four of her students. The show would appear to have a clear path to victory, what with Rhimes’ bona fides and a fairly weak competitive set—Murder goes up against NBC’s low-rated Parenthood and (presumably), CBS’ Elementary. That the steamy Grey’s Anatomy will now be slotted in what was once characterized as the “family hour” should not prove to be too great of a challenge, said ABC entertainment president Paul Lee. “I think it’s much less relevant than it was five years ago,” Lee said, adding that ABC’s sales team is supportive of the move. The network’s Standards and Practices department also will ensure that all Grey’s content is appropriate for the earlier hour. Meanwhile, having propped up no fewer than eight comedies over the last four seasons, Modern Family is getting yet another lead-out in Black-ish, a family comedy starring Anthony Anderson and Laurence Fishburne. (Comedy Central recently named Black-ish showrunner Larry Wilmore as the successor to Stephen Colbert.) Along with Murder and the new comedies Fresh Off the Boat and Cristela, Black-ish represents ABC’s commitment to develop programming that reflects the diverse viewing population. Black-ish beat out Kevin Hart’s multicamera pilot, Keep It Together. While ABC passed on the popular comedian’s project, Lee this afternoon insisted that he would love to try to get another Hart show on the air in the future. “We would love to be in business with Kevin. He’s a fantastic star,” Lee said. Thankfully, while Fox and NBC continue to engage in a war of attrition on Tuesday nights from 9-10 p.m., ABC is no longer participating in the cannibalistic practice of comedy road-blocking. Instead, it will sandwich its returning drama Marvel’s Agents of S.H.I.E.L.D. between an 8-9 p.m. battery of new comedies (Selfie and Manhattan Love Story) and the 10 p.m. supernatural/medical drama, Forever. ABC hopes that Forever will exorcize the demons spawned by the newly troublesome time slot. This season, no fewer than three new dramas (Lucky 7, Killer Women, Mind Games) failed in the Tuesday 10 p.m. roost, making the hour as vulnerable as its Thursday 8 p.m. and Sunday 10 p.m. draws. While ABC will hold back a number of new shows for midseason, the network isn’t indulging in the sort of delayed gratification evidenced by NBC and Fox. Among the newcomers that will bow in 2015 are the gritty American Crime; the instant spinoff/S.H.I.E.L.D. origin story, Marvel’s Agent Carter; the mystery import, Secrets and Lies; and the aliens-among-us chiller, The Whispers. Carter will serve as a bridge between the fall and winter runs of Marvel’s Agents of S.H.I.E.L.D. Other series that will be split down the middle include Scandal, Grey’s Anatomy and Once Upon a Time. Perhaps the biggest swing ABC will take next season is Galavant. A “musical comedy fairy tale” (think Once Upon a Time meets Glee), Galavant is written and produced by Dan Fogelman (Crazy, Stupid, Love) and features the musical stylings of Alan Menken and Glenn Slater (The Little Mermaid). ABC will unveil its 2014-15 prime-time schedule in New York today.